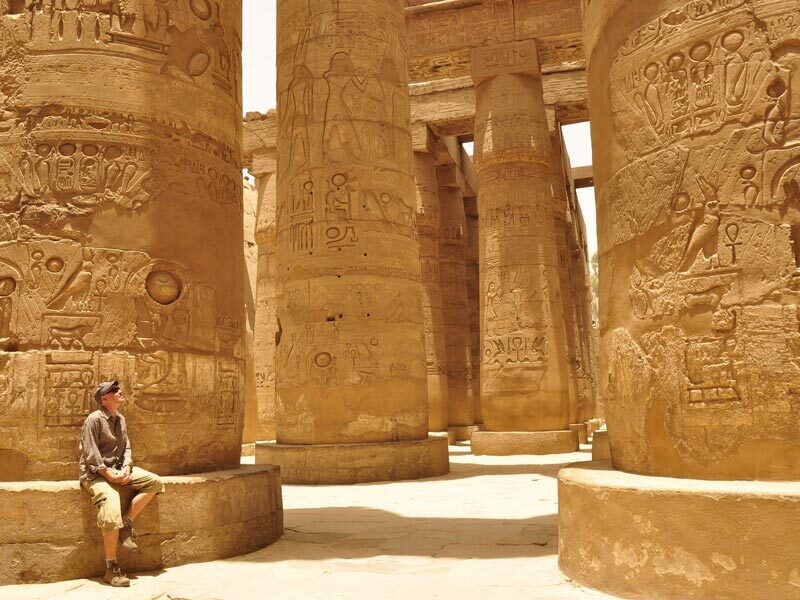 Enjoy a private day tour from Safaga to Luxor to witness the amazing landmarks in the ancient city of Luxor such as the temple of Karnak, Queen Hatshepsut temple, Valley of the Kings, and Colossi of Memnon accompanied by a private Egyptologist tour guide, Book us Now!!! Tour Duration for 1 Day. Pickup Point and Drop Point Will be at Safaga Port. 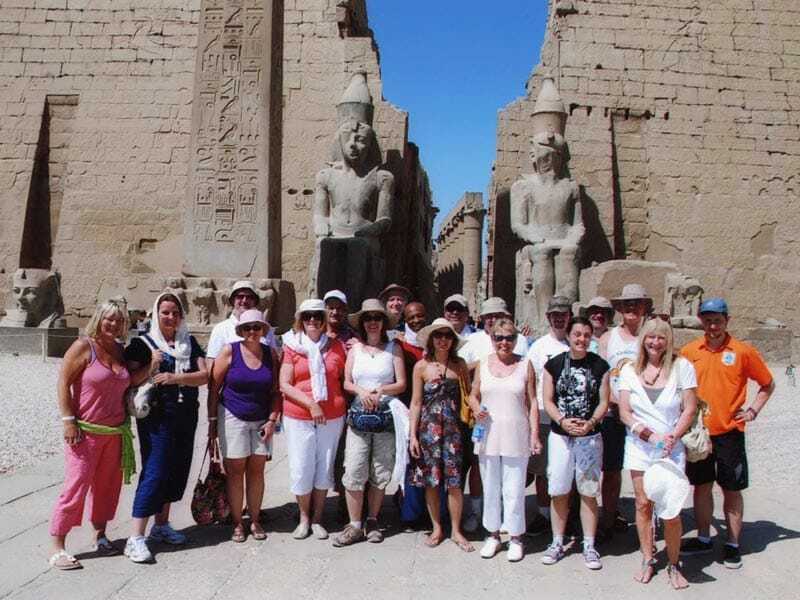 Enjoy a private day tour from Safaga to Luxor, in the morning our tour guide will pick you up from Safaga Port to explore the east and the west banks of Luxor by visiting the Valley of the Kings, Which contains the tombs of the great kings of Egypt, such as (King Ramses II) and King Tutankhamun, whose tomb is one of the most famous Egyptian royal tombs in the world. Although the treasures of the tomb are now in the Egyptian Museum, the mummy of the great young king is still in his tomb in the Valley of the Kings. 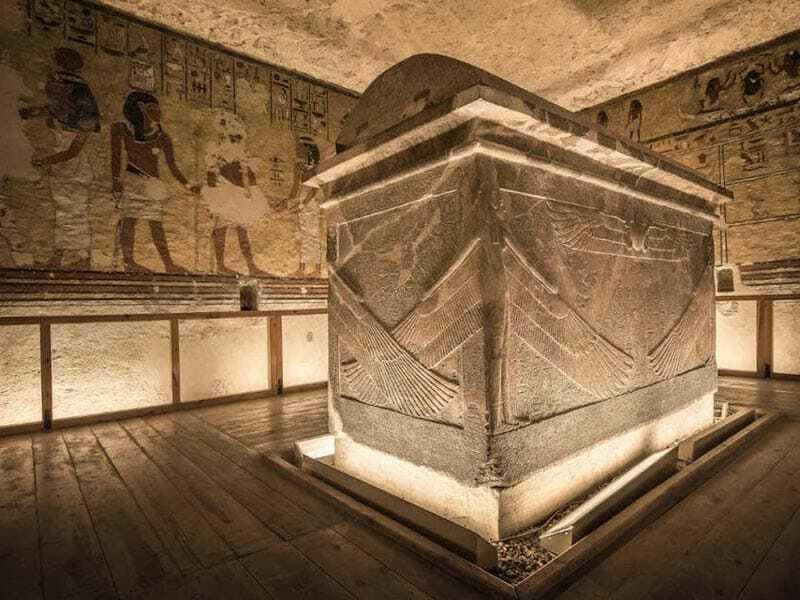 Afterward, enjoy a guided tour to the temple of Hatshepsut, which is an area of tombs on the West Bank on the Nile where Several tombs were found in an area Carved in rocks. 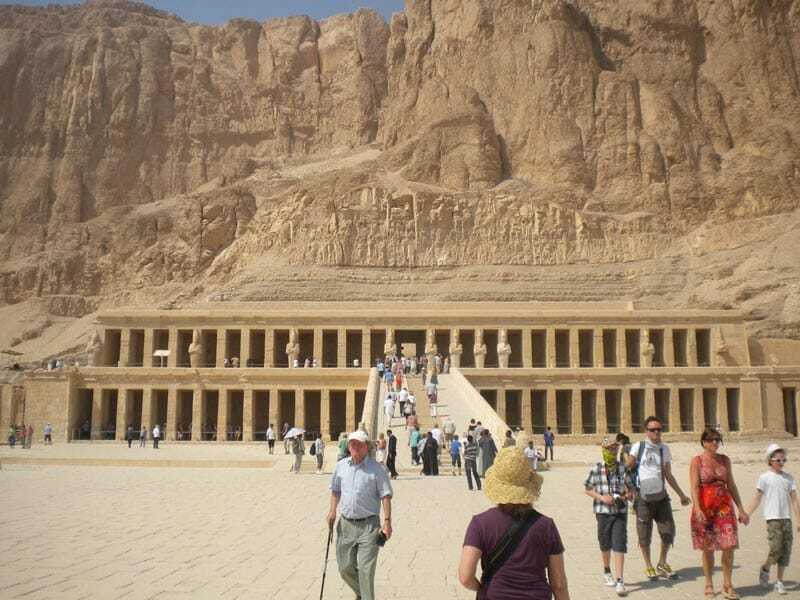 The temple is located in a mountainous area, and behind it, you can see the Valley of the Kings, where there are the most famous pharaohs of Ancient Egypt. 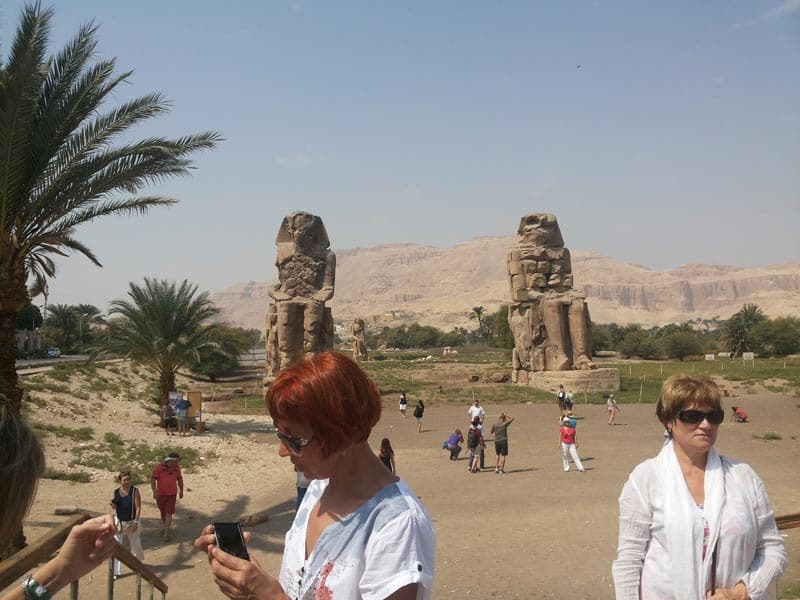 Then head to end your tour to Luxor west bank by visiting the Colossi of Memnon. In the past, there was an ancient funerary temple of King Amenhotep III and in front of the temple there were two huge statues, but now there is nothing left there but the two statues where the height of each statue is about 21.90 meters. During this tour, you will be transferred to a Nile view restaurant to have your Lunch. Finally your tour guide will take you to Luxor east bank to end your day tour from Safaga to Luxor by paying a visit to Karnak Temple, This construction holds a detailed history of the development of Egyptian architecture through ancient Pharaonic civilization, especially since it was completed after nearly 1500 years, and is characterized by a road leading to it called the road of rams, which is a stone road with sides of miniature statues of the Sphinx. Finally, we will transfer you back to your Safaga Port by a private air-conditioned car. Lunch meal at local restaurant in Cairo. Shopping tours in Cairo.